This weekend, Qingdao (China) on 16th and 17th March, will host first leg of 2013 Euro-Asia All Stars Series match. Host Continent’s elite will be led by the reigning Olympic and World champion, China’s ZHANG Jike, whilst best ranked player in European team is German Dimitrij OVTCHAROV. 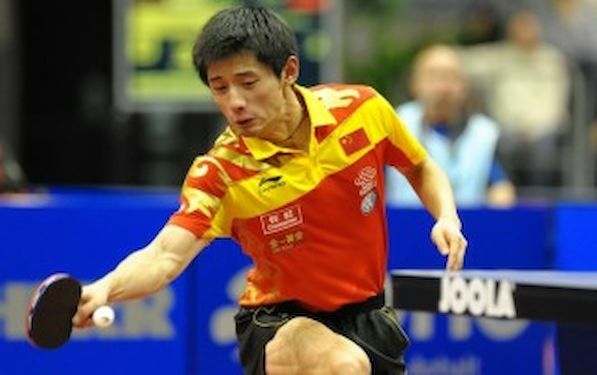 In the past two years, it seems that everything ZHANG Jike has touched had turned to gold. World’s no. three made fantastic progress since October 2009, when he made his debut for the Chinese National Men’s Team at the World Team Cup in the Austrian city of Linz. On a first day he will play against World’s no. 11 Vladimir SAMSONOV, three times European champion, player who never missed Europe-Asia All Stars Event in five years series. On Day 2 , Chinese super star will meet Old Continent’s best player in Qingdao – World’s no. 7 and Europe’s no. two – Dimitrij OVTCHAROV. It will be re – run of the Olympic Games semi final. In London ZHANG beat OVTCHAROV in five games. On the opening day Jun MIZUTANI World’s no 9 and experienced Austria’s CHEN Weixing will kick off the Event. CHEN is currently ranked at position no. 30 at the rankings. JOO Sehyuk of Korea placed at position no. 13 at the rankings and Romania’s Adrian CRISAN World’s no 19 will play second match of the day and the competition will goes on with the duels between ZHANG Jike and SAMSONOV. World’s no 6 and 7 Chinese Taipei’s CHUANG Chih Yuan and OVTCHAROV will show their skills in match number 4, whilst Hong Kong’s JIANG Tianyui and Portugal’s Marcos FREITAS will close the day one program. Total prize money is 95,000 Euros. Winning team will receive 63,000. Team Europe will lead former World Champion in doubles and actual head-coach of German national team Jorg ROSSKOPF. Physiotherapist who will travel with the team is Birgit SCHMIDT (GER).